Bagua Zhang is the most recently developed of the three main Chinese internal martial arts, the other two being Taiji and Xing Yi. It originated with Dong Haichuan who began demonstrating and teaching it in the mid 1860's in Beijing. Bagua Zhang quickly established its reputation as a very effective fighting system. At the time Dong worked as a bodyguard and later as a tax collector for Prince Su at the Imperial Court. Using Bagua Zhang he was undefeated in fights during this period until his death in 1882. Bagua Zhang literally means eight trigram palm and the structure of the system is based on Daoist philosophy. Dong is reputed to have learned the system from an old Daoist in the mountains, but it's exact origin remains a mystery. Dong's first and by far his longest serving student was Yin Fu. Yin started studying with Dong in the mid 1860's and is believed to be the only student to have learnt the complete system. The style and flavour of Bagua that Yin Fu began to teach became known as Yin Style Bagua. The last of Yin's top three disciples was Men Baozhen who spent nearly 20 years studying with Yin. Men was the student who inherited Yin's complete system including not only the martial arts but also the health building and healing systems and related philosophy. 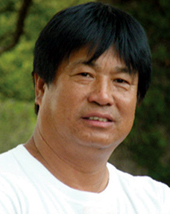 Men's last disciple was Xie Peiqi who spent nearly 25 years studying with Men and is the last person to be fully trained in the entire system of Yin style bagua. In addition to studying with Men, Xie studied with another of Yin's top three disciples - Ma Gui (1853–1940) from whom he learned amongst other things the back fist system: the back fist system was taught directly to Ma by Dong and falls outside the main structure of Bagua Zhang. Another of Dong's students was Fan Zhiyong (1840–1922). Fan did not learn Bagua Zhang but learned Dong's Buddhist health building, qigong and meditation exercises. Xie learned these from Fan's daughter - Fan Fenglan (1884–1967). 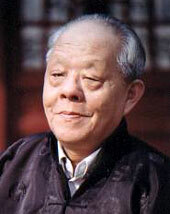 Xie, who died in October 2003, passed his Bagua Zhang system on to He Jinbao and the health building and healing systems were passed on to a number of senior students. Most of the Bagua Zhang taught today originated from Cheng Tinghua (1848–1900) who studied with Dong for the last 5–6 years prior to his death and appears to have learned only part of the system. However Cheng instructed his style of Bagua Zhang openly, hence it is still widely taught. On the other hand Yin Style Bagua still remains relatively unknown as prior to the early 1990's it was largely a closed system. In the early 1990's Xie decided to open up his teaching to foreigners. John Davies from the UK started studying with Xie in 1992 and Andrew Nugent-Head, an American living in Beijing, started in the following year. These two students subsequently set up The European Yin Style Bagua Zhang Association and the North American Bagua Association respectively to promote the knowledge and practice of Yin style bagua in the West. Andrew is also Director of the Association for Traditional Studies, an American not-for-profit organisation concerned with the preservation of traditional arts and culture around the world. Much of the activity of ATS in recent years has been to co-operate with Xie Peiqi and He Jinbao to document the system for posterity in the form of videos and books as well as to organise intensive seminars to help to teach the system. Traditionally Yin Style Bagua was taught largely on a one-to-one basis. The influx of Western students has necessitated a change in the format of teaching with more emphasis on intensive seminars and classes. However, the key to success in learning the system has remained largely unchanged - namely gong fu or investing time and effort on a consistent basis over a long period of time under the direction of competent teachers.